When Aretha Franklin took to the stage in 2008 at President Barack Obama’s Inauguration it not only set the tone for an event that was heralding itself as an important historical moment but it made a very bold statement that having the Diva of Divas – belt out a note or two elevated this important moment by giving it the gravitas and awe it deserved, soaring high with just a little Respect- Pun intended. 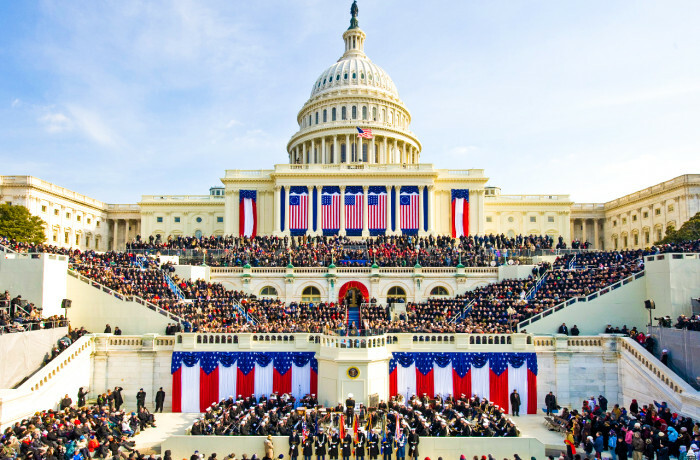 President-Elect Donald Trump’s inauguration has had tongues wagging and ears flapping over who will add this much-needed clout two days from now at an inauguration that will undoubtedly be packed with all the pomp and polished pride that all presidential swearing in ceremonies demand. Product launches and corporate events fight for the same right to have their events recognised as milestones hoping that public interest will garner them the respect to bestow on all citizens that they have to give them their time to honour their products and in so doing subtly open their wallets too. So why not take a feather out of such an auspicious cap? Entertainment as you can well see plays a very important part. The Rockettes have been confirmed for the swearing in in two days time and is the perfect hand-picked piece of entertainment that suits the Trump image down to the ground, just as a few gatsby dancers would set the tone for an upmarket evening of delight and fun and hostesses would make your guests feel as if they have been transported to an evening of glamour and high-end spectacle. And if clout is what you’re looking for then we have to carefully consider getting an act that will have your audience spellbound and enthralled. We are fortunate to have many incredible singers, bands and acts that can do just this for any event and launch in South Africa. Arias Anonymous has proved to give an awe of spectacular pomp that makes audiences gasp with sheer wonder, as does the sheer energy and vocal agility of the Soweto Gospel Choir or even the elegant simplicity of a Red Carpet Violin. So come on line up let’s roll out the spectacular honours befitting of truly high-quality events that will leave your audience hanging onto that Diva’s high note and lingering on in memory for many years to come.